What Are 2016's Best Black Friday and Cyber Monday Cruise Deals? Costa Cruises is celebrating Black Friday and Cyber Monday with its "Grazie-Giving Sale” from November 24 through November 29 for the lowest fares of the season on select cruises including a weeklong Mediterranean sailing on the Costa Diadema beginning at $399 for an inside stateroom and $549 for a balcony one. "Traditionally, Costa's Black Friday/Cyber Monday sales have been very popular with consumers on the lookout for seasonal offers," said Scott Knutson, vice president of sales and marketing for Costa Cruises North America. "Our Grazie-Giving Sale is our Italian way of saying thank you for choosing Costa for your cruise vacation." 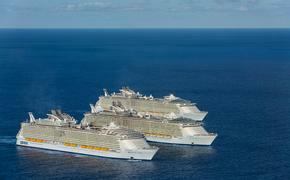 Special cruise fares also extend to the Caribbean and more in the Mediterranean. Rates for a 7- to 10-night Caribbean sailing start at $449 for an inside stateroom and $749 for a balcony one. 7-night winter Mediterranean sailings begin at $399 for an inside, and 12-night cruises begin at $799. For Black “Tie” Friday and Cyber Monday, Cunard Line is promoting specials on its Queen Mary 2 and Queen Victoria from November 25 to November 28, 2016. New reservations made therein will get a complimentary upgrade from an inside to a balcony cabin, 50 percent off third and fourth guests and a $100 reduced deposit. Promotional sailings include Transatlantic Crossings and Mediterranean cruises starting at $999. Examples encompass 7- to 14-night routes from Rome, Venice, Athens, Trieste or Southampton to the likes of the Adriatic Sea, Italy, the Greek Isles and more. Carnival Corporations’s latest brand, Fathom, is offering a Black Friday and Cyber Monday special for select Dominican Republic and Cuba sailings from November 25 to 28. Savings include balcony cabins at interior stateroom fares and weeklong DR cruises priced at $249 and Cuba ones at $1,999. Eligible Dominican Republic cruise dates include December 18, January 1 and January 15, and Cuba ones include March 19, April 2 and April 16. To take advantage of the promotion, travelers can call 1-855-932-1795 or book through their travel agent, referencing code “RF1.” Online fathom.org bookings are not eligible. When reserved between November 23 and December 4, 2016, Hurtigruten’s Black Friday Sale is taking off 10 percent on any Classic Coastal Voyages departing between December 1, 2016 and March 31, 2018 including 6- to 12-day Norwegian cruises. Also, the same 10 percent discount applies to Explorer Voyages during the 2017/2018 season aboard the MS Fram, MS Midnatsol and MS Spitsbergen from March 14, 2017 to March 25, 2018. Select eligible dates include all three 2018 ones for the Adventure from Cape Horn to the Penguins of Antarctica sailing, as well as the Arctic Fjords Expedition: Polar History, Nature and Culture tour on September 4, 2017. For Black Friday and Cyber Monday, MSC Cruises is enhancing its already enticing 2 for 1 Caribbean deals with an added value of up to $350 in the form of onboard credits, drink packages and W-Fi internet access. From November 23 to November 30, travelers can book select 2017 MSC Divina sailings beginning at a 50 percent off rate of $399 per person for a weeklong roundtrip cruise from Miami, Florida. Norwegian Cruise Line is upping the ante on its latest special with a Black Friday Bonus and Cyber Monday Special, requiring only a $50 per person deposit on all cruises across the fleet in Studio, inside, oceanview, balcony and mini-suite accommodations from now through November 30, 2016. The bonus promo is combined with the line’s Free at Sea sale that extends up to five free perks. Under Free at Sea, travelers booking a 3-day or longer voyage in an oceanview, balcony or mini-suite stateroom can choose two of the following complimentary perks through the end of the month: free unlimited open bar, free Specialty Dining package, free prepaid service charges for the first and second guest in the cabin, a free 250 minute WiFi package or Norwegian’s Friends & Family Sail Free offer permitting third and fourth guests to sail for free on select departures. Those in an inside cabin or Studio stateroom can select one perk, and suite and The Haven guests receive all five. Meanwhile in Hawaii, Pride of America cruise travelers in any cabin category can, through November 30, 2016, choose one of the following complimentary bonuses: a free one-night pre-cruise hotel stay with an option to buy discounted flights beginning at $399 from certain gateways, a free Specialty Dining Package, free pre-paid service charges for the first and second guest in the cabin, a free $50 per port shore excursion credits in up to four destinations or Norwegian’s Friends & Family Sail Free for free third and fourth guests in each cabin on select dates. Those in a suite, will get all five offers. Plus for select Christmas and New Year’s cruise bookings, guests will receive an extra $100 in shipboard credit. 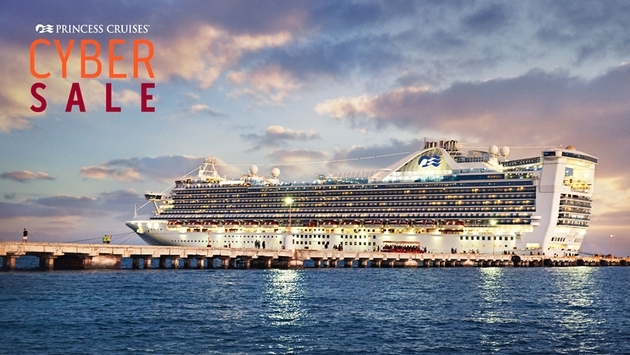 Now available, the Princess Cruises "Cyber Sale" will allow guests who “Sail Soon” to save up to $1,000 per cabin and those who “Sail Later” to enjoy complimentary cabin location upgrades, free gratuities and up to $300 shipboard credit per cabin. Plus, travelers can reserve with reduced deposits of $100 per person, with third and fourth guests also discounted for select destinations. “Sail Soon” cruises encompass 6+ day itineraries leaving Winter through Spring 2017 to destinations such as the Caribbean, Mexico, Hawaii, Panama Canal, California Coast, Australia & New Zealand, Southeast Asia and South America. “Sail Later” ones include 6- to 60-day voyages and select cruisetours departing from Summer 2017 to Spring 2018 to all destinations like Alaska, California Coast, Canada & New England, Caribbean, Hawaii, Mexico, Panama Canal, Mediterranean, Northern Europe, Transatlantics, Australia & New Zealand, South Pacific, Japan, Southeast Asia and South America. Specific to Japan or Singapore voyages, guests will also receive an extra $100 per person savings on Princess EZAir.